A Polaroid Story » Doing an accidental Ditto. Waiting on the wrong side of the Les Ardentes festival for Method Man and Redman has its bright sides, you know. 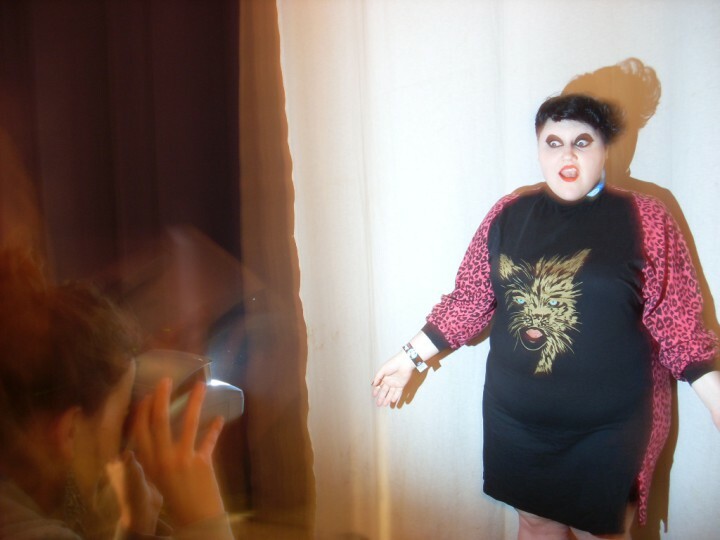 I mean, you mìght just run into Beth Ditto. I was standing there all alone, when the most amazing voice since Amy Winehouse just walked me by all fresh and clean. She stopped, looked at me, smiled and just when I was about to ask that simple question…. 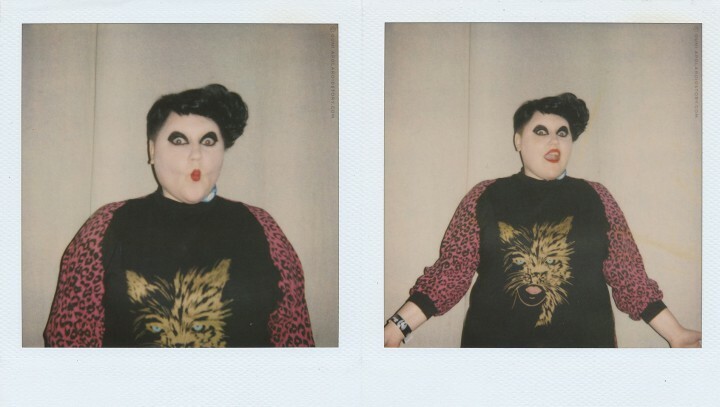 “Wow, is that a réal Polaroid!” she spontaneously addressed me. “Now, well ‘Mam, it is.” I replied politely, “Could I take a …..Polaroid…from..you?” “Maybe?” “Of course, you can!” she responds with enthusiasm. She then stood before me and posed like a true professional. No instructions needed. 1..2..3.. Flashing…Lights…Snap! And of she went, talking all excited about watching the Meth&Red concert with her entourage. Sometimes being on the wrong place at the wrong time is just destiny calling. PS: Watch My Favorite Gossip Cover.